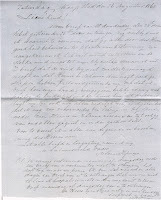 Towards the end of the long Cape winter in 1865, Johannes Jacob Hofmeyr wrote the enclosed letter to his daughter Geertruide Aletta. 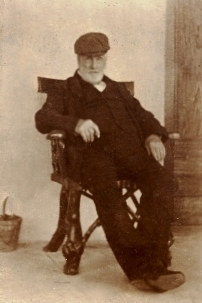 Johannes was born at Welgemeend and, as the oldest surviving son, presumably still lived in the large Hofmeyr family home on the slopes on Table Mountain. 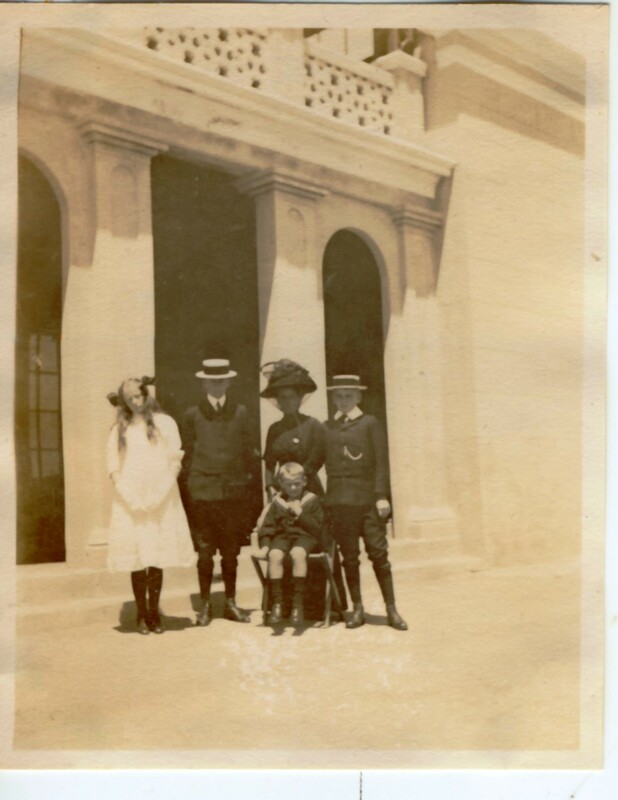 Geertruide had married the "capitalist landlord" Johan Frederik Wicht and moved to Mermaid Cottage (see Rapallo in previous blog) which was then an isolated home overlooking the ocean in rural Sea Point (close where the Pavilion is now). Today it is a scant 30min drive by car but to Johannes it seemed very far away indeed. He was 54 years old. His wife, also Geertruida, had died three years earlier, which may account for his loneliness and he was "so depressed". 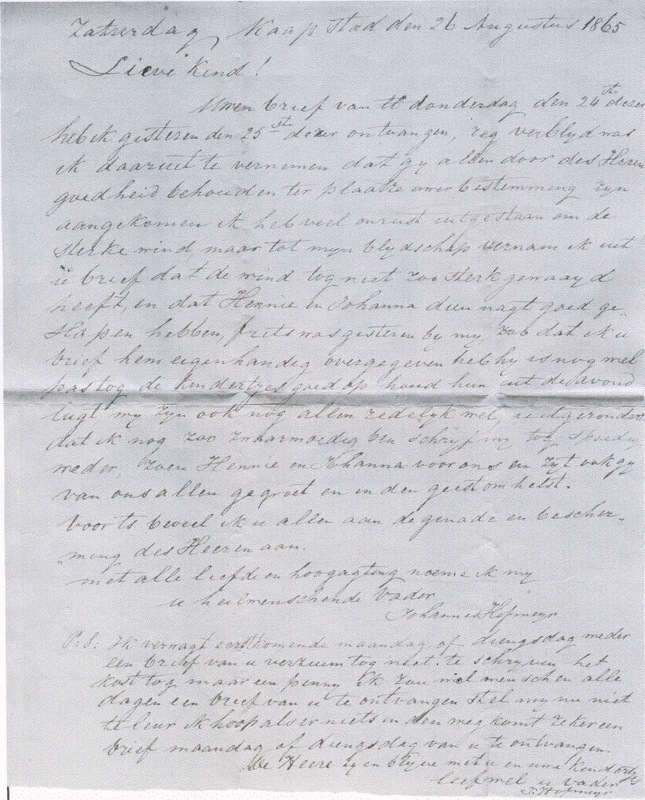 In his letter he frets about his grandchildren, Hennie and Johanna. 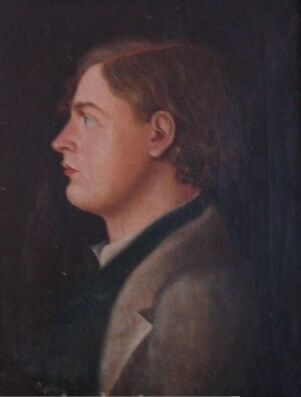 Though Hans Heinrich "Hennie" died at the age of 20, Johanna, who "should be kept out of the evening air" went on to live a long and colourful life. Johanna never married - apparently her father Johan Frederik never approved of her suitors. When her father died in 1907, he left Rapallo to his grandchildren with the proviso, however, that Johanna, should enjoy the use of it during her lifetime. Johanna was left "comfortably" off by her father and became a well know sight in Cape Town in her chauffeured Rolls Royce at a time when few people in the city possessed motor cars. But by 1912, life in Cape Town became "intolerably provincial" for Johanna and she packed up and went to Europe, taking her car, chauffeur and aide along with her! Rapallo was left in charge of a relation as caretaker until such time as the she might come back. But Johanna never returned - she wandered all over Europe in her Rolls Royce. When World War I broke out, she took refuge in Switzerland which she found very pleasant indeed and remained there until she died 30 years after she left South Africa. The letter was recently give to me by Jo and Jan Wicht. Jan is the brother of Joan Fulford (nee Wicht) who we met recently, just before she tragically died in a car accident on Hospital Bend. Note the spelling of Hofmeijer - I would be interested to know when it became Hofmeyr. In 1850 Mermaid Cottage was bought, as a summer residence, by Mr Johan Frederik Wicht (see note i) (1923-1907) who according to the Cape Town Almanac was a `Capitalist'. This, no doubt, sounded forbidding to some ears, but Mr Wicht, it seems, was a benign capitalist. For a contemporary advertisement of the sale of some Wicht property advised the public that Mr Wicht and his brothers were `landlords of the old type, who could never fall into the modern system of high rents'. Mermaid Cottage, from being a mere summer retreat, in time became the permanent home of the J. F. Wichts. The Sea Point property covered almost the entire area of the seaward `bulge' with no Beach Road, then, to truncate it The house was enlarged and a second storey was added, so that the place now dwarfed little Triton Cottage, adjacent. Suddenly, in 1912, Miss Johanna startled everyone. Life as lived in suburban Sea Point had, for her, become intolerable. `Comfortably off', and free to wander where she chose, she packed up and went to Europe. What was more, though, her car, chauffeur and aide went with her. This was 1912, when few people in Sea Point possessed a motor-car. Rapallo was left in the capable charge of a relation who should act as caretaker until such time as the lady might come back. But Miss Wicht, it seemed, had no great desire to return. 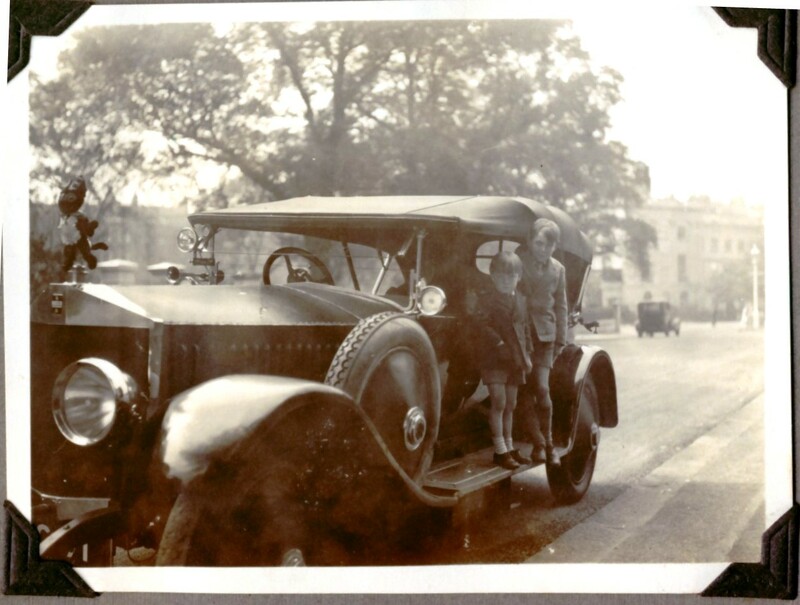 She wandered over Europe in her Rolls Royce-and never saw South Africa again. In any case she was soon caught by the First World War, and found Switzerland a pleasant place of refuge. In that country, too, she found refuge while the Second War was being fought, and there she died, some thirty years after abandoning Rapallo. Thirty-four years had then passed since the death of J. F. Wicht, and his grandchildren, the heirs to Rapallo, had now no occasion to use the house. It was now 1941, and the war at sea had come close to South Africa. Rapallo, accordingly, was handed over by the heirs, on loan, to the Red Cross Society of South Africa. The place was turned into a sick­bay for men of the Royal Navy, many of whom, thus, found themselves made welcome in one of Sea Point's oldest homes. After the war the place, in 1952, was sold. Every square foot of ground was then built over and the vast block of Rapallo Flats was erected on the site. Rapallo remained in the possession of one family - the Wichts - for just over a century. (i) His wife was Geertruida Aletta Hofmeyr, one of three known Wicht-Hofmeyr marriages. Note: If any of the family have painting or pictures of Johan Frederik and offspring, please do email or post it to me at david@wicht.co.za. The history of our city is closely intertwined with the histories of the people who live here. Families who have been part of the city for generations. Many of these came from Europe — seeking a new home, new lives. They came from Holland, Germany, Britain and other places far from Africa. Some of their descendants live here still. How do they feel the weight of the years? When I telephoned David Wicht I had only a vague idea of the story. Somehow it had to focus on a family with a Dutch or German name whose forebears had come to Cape Town as long ago as possible — preferably the 18th century — and it had to`show how that family’s history threaded into the greater history of Cape Town. Admittedly, the Wichts weren’t an arbitrary choice, their family had been mentioned in a recent book, Cape Town: The Making 0f A City. But there was no reason why David Wicht should be a descendant of the "capitalist", JAH Wicht. Except he confirmed that he was, and for a moment I felt the telephone directory had opened a jagged crack through the centuries that might show what it had been like to live in Cape Town then, and might even say something about how we live here now. We arranged to meet at his house in Kenilworth. The Wichts, David and Caroline and their three children, live in a U-shaped double-storey house that fronts onto a swimming pool and tennis court. We sat on a patio above the pool facing the line and slope of Devil’s Peak, etched against a gathering and unusual thunder storm. Lightning flashed in huge sheets across the sky. David Wicht is a film producer and the director of a company that supplies matching finance for those who have raised some money towards the production of a film. Although he initially qualified as a civil engineer, most of his student days were spent in darkened cinemas, so it was a matter of time before his true interests started to shape his life. While a student in the late 1970s, he wrote a film script called The Native Who Caused All The Trouble — subsequently adapted for the theater by Danny Keogh. In 1988 he directed the movie, Windprints, which attracted good notices in the specialized film press but was never released on the main circuit. In the 1980s David and Caroline left Cape Town for London and were not entirely sure, for political and business reasons, whether they would ever return to South Africa. "lt was an important time in our lives," remembers David. “The main reasons we left were the state of emergency, plus a desire to live in one of the major cities of the world. Obviously London was a far better place to be if you were in the film industry and as I was moving away from writing and directing towards producing, so there seemed every reason to stay there. I did an MBA to acquire the necessary financial and management skills and we seemed set for a career and life in London. "We hadn’t lost touch with Cape Town because l have a large family here and we came out for holidays almost every year. I suppose you could say our hearts were still here." When Mandela was released and the whole political spectrum started changing we decided to come back. One of the prime objectives of my return was to open up post-apartheid South Africa as a destination for films from around the world, which has happened, and to make local films for international release. Plus, of course, London is not an ideal place to live with three young children and no family support network. "I reactivated Film Afrika, a production company I'd established in the early 1980s but which had lain dormant while we were in the UK. From there we developed this matching finance venture." The Wichts have been living in Cape Town since the late 18th century. According to family lore, after a disagreement with their father, three sons of a Swiss watch maker left home: two went to North America and the third came to Cape Town. The year was 1796. The previous year the British had invaded the Cape at Muizenberg and, for the next 20 years, the town was politically unstable: given back to the Dutch in 1803, re-annexed in 1806 after a skirmish at Bloubergstrand, and only officially confirmed as a British possession in 1814, at the end of the Napoleonic Wars. What Wicht’s circumstances were during this time is unknown. However, as a German speaker he would not have sacrificed his language by coming to live at the Cape. Some 28% of Cape Town’s free burghers were of German origin. There was a Lutheran church and, as the terms of surrender in 1806 guaranteed the status and property of the town’s inhabitants, Wicht may well have welcomed the inclusion of the Cape into a growing British empire. Certainly, if he was a sharp businessman, he might have viewed the trade prospects with some satisfaction. Perhaps that is why when two Wicht brothers, JAH and JH, enter the historical record in the late 1830s, they are men with financial means. Part of this was derived from compensation money paid to slave owners at emancipation. JAH Wicht reinvested this money in business, but the brothers also bought property to house the newly liberated people, and were soon being reviled as slum landlords. The Wicht property assets were extensive. JAH had 145 houses in 1850, 340 in the early 1860s, of which 106 were in District Six. During that period he’d been building some 20 houses a year and, as a family, the Wichts owned 460 houses in and around Cape Town. Apart from his property interests JAH Wicht also traded in industries as diverse as linen drapery and ironmongery. In addition, a quarter of his assets, valued at £122 000 in 1867, was derived from bonds, promissory notes, mortgages and debentures. But although the Wichts were part of the rising commercial class during the late 19th century, their star waned somewhat over the next 50 years. When David Wicht’s parents - Jan Hendrik Wicht and Babeta Hofmeyr - married in 1946, his mother’s lineage added an even longer involvement with the city to his legacy. 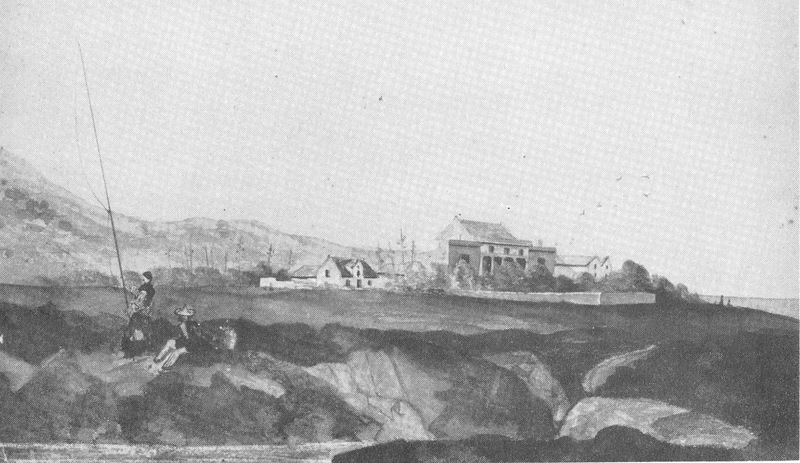 Babeta Hofmeyr’s forebear, Jan Hendrik Hofmeyr, was born in 1 721 in Ibbenburen, at the time a village in Holland although it is now part of Germany. Jan Hendrik Hofmeyr went into the service of the Dutch East India Company and arrived at the Cape in 1744 aboard the warship, De Stundvustigheid. After a series of jobs he was employed as a transport overseer to manage the Company’s riders, animals and wagons based at De Schuur. There he worked until 1 772, the year he married his third and last wife, Maria Wilhelmina Smuts, a widow with a substantial estate. This may have had something to do with Hofmeyr's resignation from the Dutch East India Company, although he seems to have remained in charge of De Schuur for the following 10 years. During the next century the Hofmeyrs became an influential family at the Cape, especially during the life of 'Onze Jan' (1845 - 1909). He was instrumental in getting Dutch proclaimed an official parliamentary language in 1882. He also formed the Afrikaner Bond which initially worked for the upliftment of poor Dutch families. Decades later this organisation metamorphosed into the secretive and dogmatic Afrikaner Broederbond, the power behind the Nationalist Party’s apartheid years. But while 'Onze ]an’ was acclaimed an Afrikaner patriot, one of his descendants, Hendrik Hofmeyr, was to be branded an enemy of the people for his opposition to newly formed Nationalist Party. In the 1940s the Nationalists wished to acquire, Welgemeend, that had been the family home since 1749 in order to build Hoérskool Jan van Riebeeck. When Hofmeyr resisted their plans he was subjected to social pressure and when this failed he was denounced from the pulpit for his betrayal of the Afrikaner. Finally, when the Nationalists came to power in 1948, they simply expropriated the property for a nominal value. There are two codas to these family histories that started out in Dutch and German speaking parts of Europe: the first is that the Wichts in North America have made contact with the Wichts in Cape Town through the internet. The second is sadly poignant. David Wicht takes up the story: "Early in 1998 we had a visit from an elderly Frau Hofmeyr who is from the Hofmeyrs of Ibbenburen, from which the Hofmeyr forebears departed 290 years ago. She wanted to make contact with the family and it was impossible not to be moved by this meeting and to feel and see a connection. When she dies the family lineage there comes to an end and that truly seems to be the end of something. And, I suppose, the beginning of something."